Its omnipresence in nature makes diffusion a key phenomenon for technology enhancement in many industries just as an attractive topic of fundamental research. Both features became particularly pronounced, over the past few years, with diffusion of guest molecules in nanoporous materials, notably as a consequence of recent improvement with existing and the advent of novel techniques of “microscopic” diffusion measurement [1,2]. After introducing the two major techniques applied for this purpose, namely pulsed field gradient (PFG) NMR and microimaging by interference and IR microscopy (IFM, IRM) , the talk is going to highlight some of these features. They include transport enhancement in pore hierarchies , the interrelation of “transport” (or “collective”) diffusion and self-diffusion (i.e. of random walk under equilibrium and non-equilibrium conditions) , the comparison of ensemble and time averages (proof of ergodicity) , the observation of “uphill” diffusion , the detection and exploration of additional transport resistances (“surface barriers”) at phase boundaries  and the one-shot measurement of the effectiveness factor of catalytic reactions . J. Kärger and D.M. Ruthven, New J. Chem. 40 (2016) 4027–4048. J. Kärger, D.M. Ruthven, D.N. Theodorou, "Diffusion in Nanoporous Materials", Wiley - VCH, Weinheim, 2012. 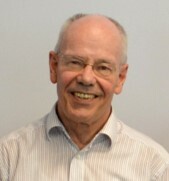 J. Kärger et al., Nat. Mater. 13 (2014) 333–343. D. Schneider et al., Chem. Ingen. Techn. 87 (2015) 1794–1809. C. Chmelik and J. Kärger, Micropor. Mesopor. Mater. 225 (2016) 128–132. F. Feil et al., Angew. Chem. Int. Ed. 51 (2012) 1152–1155. A. Lauerer et al., Nat. Comms. 6 (2015) 7697. J.C.S. Remi et al., Nat. Mater. 15 (4) (2015) 401–406. T. Titze et al., Angew. Chem. Int. Ed. 54 (17) (2015) 5060–5064.